Humble though in architecture, standing ‘monumentally’ high as a ‘citadel’ of Hindu Tamil rural tradition in one of the oldest villages in the Northern Jaffna Peninsula’s uniquely sandy village of Nagarkovil, is the Nagathampiran Temple. 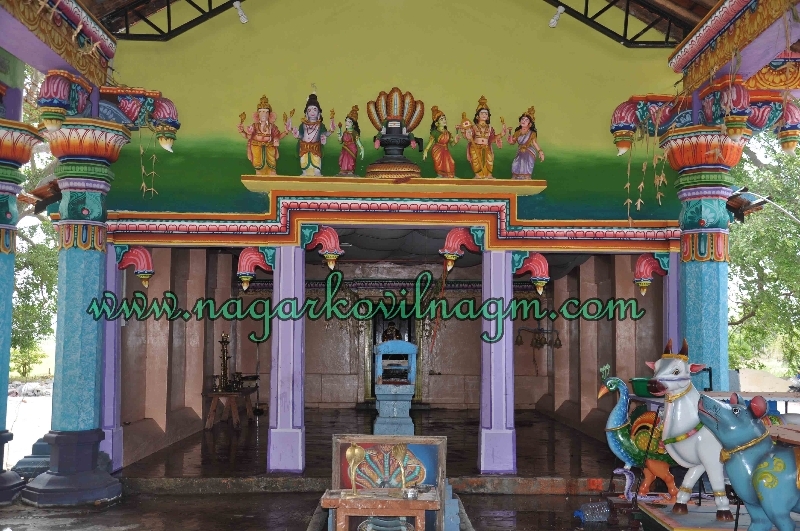 With a history of over one thousand years, this Hindu Shrine, dedicated to Lord Shiva, is believed to be worshipped, and more importantly, guarded by Cobras and hence prefixed by the word ‘Naga’, the Tamil equivalent for Cobra. 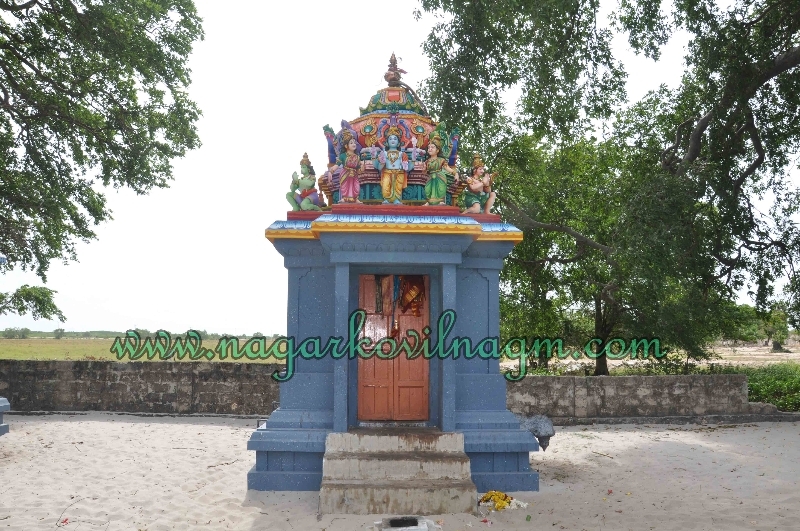 Devotees from all parts of the Jaffna peninsula and other far away districts consider this Shrine as a Holy Abode of Lord Shiva and go on pilgrimage to fulfill vows and invoke blessings to provide peace and protection from evil. Legend has it that a one time King had tasked a goldsmith to cast a statue befitting the incumbent deity of the temple. Confused as to what could be the form of the deity, the goldsmith fell asleep and ironically though, had a dream in which he happened to see a five headed cobra, a very strange phenomenon. 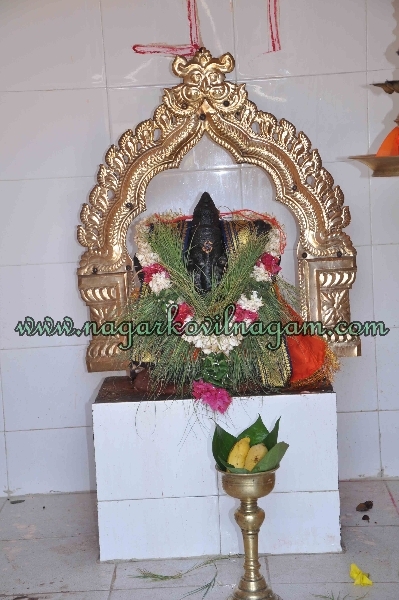 When he went to the temple the following morning to worship, as was usual of all the villagers, he was astonished to see under the tree in front of the temple, a live five-headed cobra with the unusual multi-headed hood expanded. Confusion cleared, he made out a statue of a Cobra head and that was installed in the Sanctum Sanctorium for the devotees to worship. This tradition is being followed with piety from that time onwards. 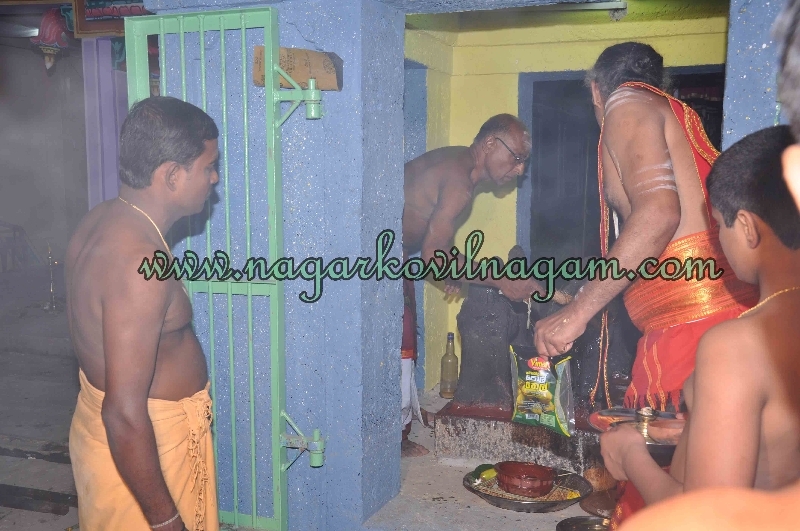 The water in the special wells (Theerththakerni), five in number around the temple, dug for thewater-cutting ceremony on the last day of the annual festival, is believed to contain miraculous healing effects for snake bites. 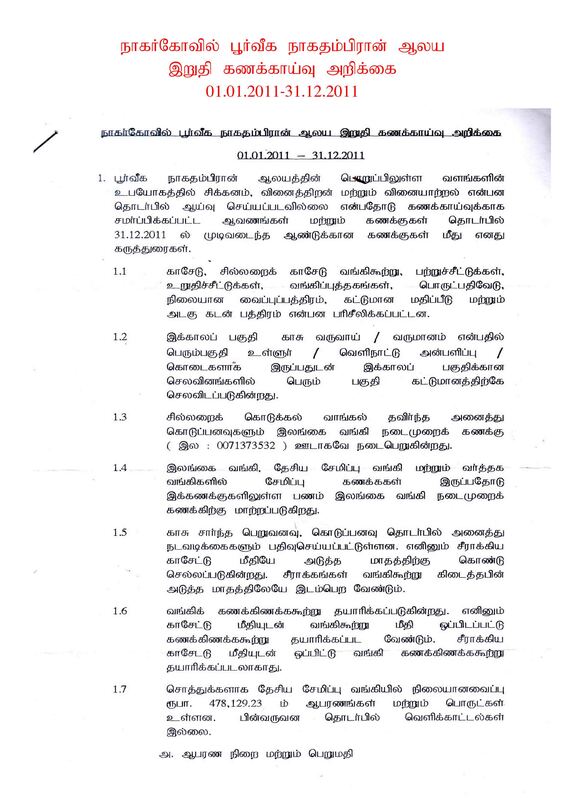 Kappal Thiruviza, literally meaning ‘Ship Festival’, conducted as one of the festivals during the annual festival season too has a legendary context, in that, the indigenous people of ancientNagarKovil village who were caught captives by mercenaries of an Indian King and boarded into the mercenary vessel to be taken to India were miraculously saved by a divine act: the ship did not move from its moorings and the mercenaries saw a cobra inside the hatch of the ship; they cut it into pieces, but were astonished to see thousands of cobras ; the panicked mercenaries, it is said, released the captives and it is only then the ship moved from its moorings. Historical references go back to the year 1845 when the local residents constructed a small temple with clay, as an improvement on the hitherto ‘Snake Mound’ which they worshipped from times immemorial. 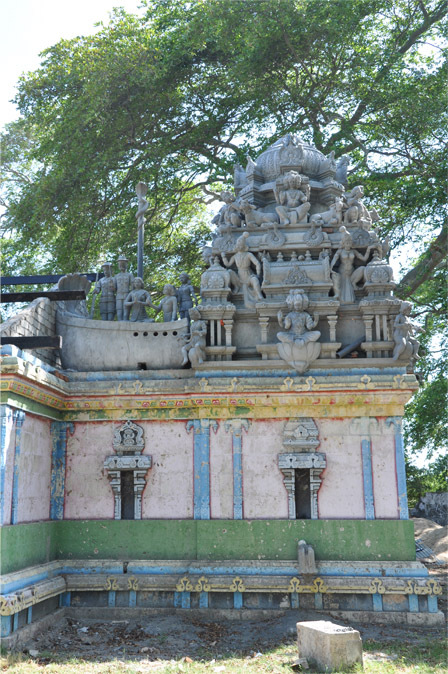 This make-shift construction underwent radical changes in course of time and in 1918 this temple was rebuilt with lime stones and sanctified by Kumbabishekam ceremony. With displacement of people due to the war, this temple was closed on 4 May 2000 and after a decade religious Pooja activities commenced only very recently, as the first step in the civilian resettlement programme. On the first day of commencement of Pooja activities of the temple, people were seen overjoyed, understandably, in the context of the return to their habitat after a decade. 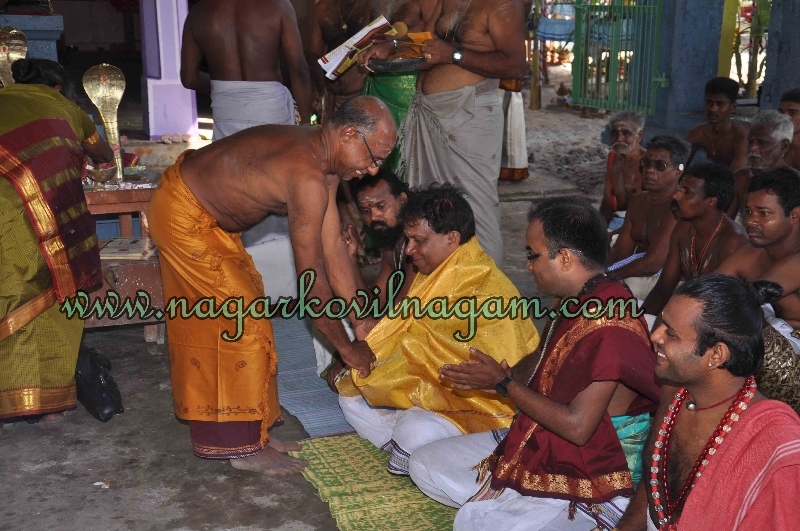 Nostalgia and reminiscence seen and heard all over, the ‘return’ to the village and more importantly, to their temple was really a matter for rejoicing to the people of Nagarkovil.